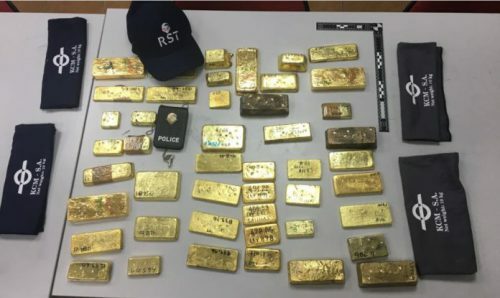 ORANJESTAD - A Venezuelan man was arrested on the Caribbean island of Aruba on Sunday, heading for the Netherlands with a suitcase full of gold bars. The man was reportedly planning to board a KLM fight to the Netherlands when officials found 46 gold bars, weighing some 50 kilos, in his luggage. The Curacao public prosecution department said on Facebook the gold had a value of €1.7m. The man is being held on charges of smuggling gold and forgery. The authorities in the Netherlands, Aruba and Curaçao are investigating. Venezuela is currently facing the world’s worst inflation crisis – the IMF projects inflation will reach 13,000% this year and the economy will shrink 15%.